ExperChat allows you to save time and money by giving you direct access to experienced skin care, fashion, makeup and hair Experts across the country from the comfort of your home. No subscription required. No hidden fees. 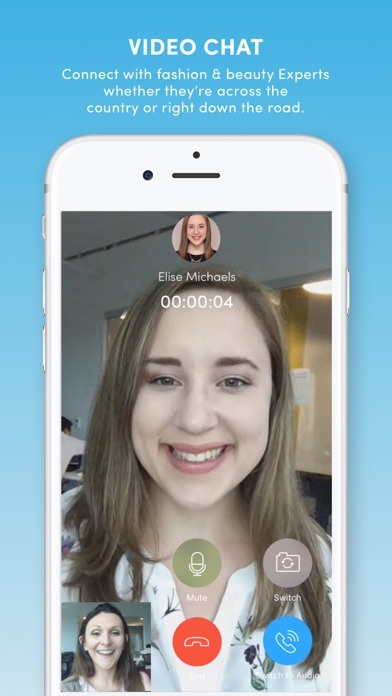 THE EASIEST WAY TO A NEW YOUExperChat enables you to meet with skin care, fashion, makeup and hair Experts located across the country through a live video chat consultation.